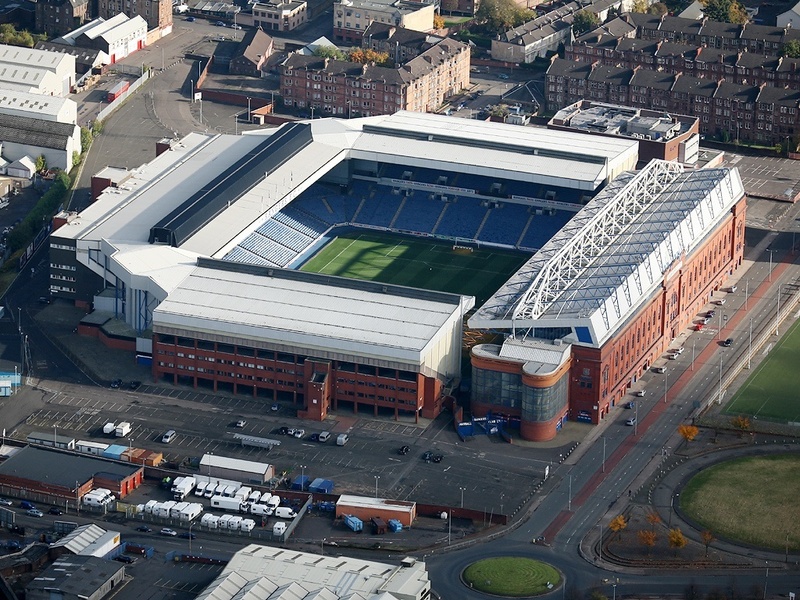 Ibrox Noise: Is major squad surgery REALLY needed at Ibrox? Is major squad surgery REALLY needed at Ibrox? Earlier this week we had a look at the likeliest candidates to exit Ibrox this summer. Stevie G has promised there won’t be wholesale changes in the main first-team squad, but enhancements will be coming in. What this entails is that there are a number of positions which just aren’t strong enough, and so Ibrox Noise takes you through a comprehensive assessment of which ones are priority. McGregor is the best we’ve had since Goram, and we’re very happy here. This is one position which absolutely requires no work, except to possibly affirm his deputy. Captain James Tavernier is no leader, and has many faults, but Rangers fans, ourselves included, do often take his marauding runs for granted. We’re so used to him flying down the right that we often fail to acknowledge it and instead castigate his leadership and defending. But reality is, for now, he’s as good as we’ll get there. Yes, we need serious work here. Joe Worrall will go back to Forest, Nikola Katic is a fan-favourite but not really a Stevie one yet, Gareth McAuley is surplus and Connor Goldson has been patchy. We’d have to conclude centreback is an absolute priority and needs much better than what we have. In theory one of our strongest slots, but in reality a disaster, left back is a weird one. Andy Halliday has been our most regular player there but he’s an AM for chief’s sake. Borna Barisic hasn’t lived up to expectations plus suffered injury blight, Jon Flanagan is mediocre and a RB by trade, while Lee Wallace will leave this summer. There’s also the small matter of Lee Hodson at St Mirren who probably won’t return but nevertheless five players for the one slot doesn’t add up. Yes, this area needs tweaked – thinned down and fixed. Stevie has recently been trying Steven Davis as a deep-lying playmaker in a four/three midfield depending on who you believe, but his peers include Kamara, Coulibaly, Rossiter, Docherty (kind of), Jack, McCrorie and a few others. This is another slot which needs slimming down. Reduced to two or three options and that’s it. Whether readers think Jack, Kamara and McCrorie would be good enough for the position among the three of them is another issue. For the plethora of options at defensive midfield, there’s an embarrassing poverty in central. Rangers have, aside Scott Arfield (and his links to Southampton notwithstanding), no one absolute central midfielder beyond the utility guys who can fill both DM and CM. And even he is playing more as an AM these days. It’s a pathetic lack of quality – not enough intelligent users of the ball centrally who can spray passes. So yes, crucial surgery here too. For a position we need filled, we have a LOT of these guys. The problem is we don’t have convincing ones. Arfield, Davis, Dorrans – either unfit or just hasn’t delivered in that slot what we need. Yes, another position which needs vital work. If we had any more wingers we’d take off. Ryan Kent (if by a miracle he stays), Daniel Candeias, Glenn Middleton, Eros Grezda and the returning Jamie Murphy – and yet, looking at all five is a bit of an unknown quantity. We don’t know what Murphy will offer long term under Gerrard, Middleton remains raw, Grezda has been a shambles and Candeias is kind of limited. Kent has widely impressed but to keep that will cost £7M. Then there’s the small matter of the arriving Jordan Jones. And possibly Jake Hastie too if that deal resurrects. We don’t need much more, and improvement would be welcome but it’s not a priority slot. This is another mess. Alfredo Morelos’ future is anything but certain and chances are he will be sold, Kyle Lafferty hasn’t impressed, Ryan Hardie may get a chance but we can’t know, and Jermain Defoe isn’t a long term solution even if he’s actually been quite good with the chances he’s had. Yup, we need to figure this one out too. The squad has been in worse states than this, and our results against Celtic suggest we’re not as far behind them as we fear – but our results against top six peers have simply not been good enough overall. Goalie is fine, RB is ok, defence needs work, midfield overall is filled with too much mediocrity and hasn’t been thinned out properly, wings are possibly ok, and attack is threadbare. So, yes, at least five quality enhancements (2xCB, 1x AM, 1x CM, 1x striker) and we’ll be looking better. Whether it’ll match Celtic is quite another matter. Midfield is not as bad as you think. We have had too many injuries/ suspensions to get consistency. But start with Jack and Arfield and build around them. Certainly need one new centre half. Worrall must go and McAuley too old. Same with Davis. Lafferty has blown it. I would keep Morelos. For all his stupidities he was hard done by authorities. But with Murphy , Middleton candias around we don’t need too many new players to beat this crap Celtic team.We have had all the bad decisions and they have had a lot of good luck( 3 victories in time and could have lost to us. That’s a 12 point swing. Small margins indeed. We absolutely need major surgery. Celtic will go all out next season for NIAR and the squad we have at the moment is no where near strong enough to compete against them never mind the other so called bigger teams. I really do hope SG has a few aces up his sleeve come the close season. I don`t understand how you have divided up the midfield players and therefore your comment that we have attacking midfielders makes no sense .Davis is no longer that type of player and with Dorrans unfit then really we only have Arfield to play there . Absolute minimum requirement is one first pick centre back who can be partnered by Goldson or Katic, one attacking midfielder, one creative midfielder, and two strikers even if Morelos stays. We can make do everywhere else. Anything else is a bonus but we should try to adapt a policy of signing fewer players but more quality every summer with minor tinkering in the winter window. Would like to keep Defoe, Kent and Worrall. Extended loans for the first two - we should buy Worrall. Great experience for a young bloke with good sell on value. Will be a proper leader wherever he ends up playing. On the face of it - it appears yes. Chris Sutton sums up our season in the DR - is he really wrong? 1) Currently 11 points behind a “poor” Celtic with transfer problems, injuries & change of manager. 2) In nine matches against teams in 3rd, 4th & 5th in league we have won ONCE! Is that really a good & unacceptable record? 3) Knocked out in both cup competitions before the final. 6) gods start - particularly did “ok” in Europe for the first time. Note heading restricted question to squad but interesting how a change of managers worked wonders at Manchester Utd?